An All Natural Supplement that provides Instant Energy to the new born lamb to help maintain against disease factors and jump start lambs that are slow to start feeding. 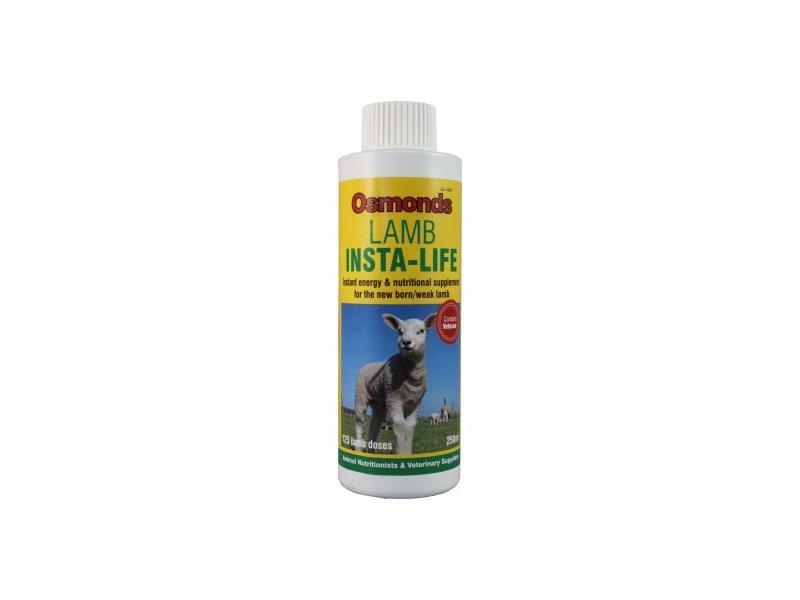 Boosts the lambs nutrient intake to help maintain resisitance from disease factors. Contains Vetoxan® which is important in the establishment of an internal environment in which E.Coli bacteria cannot grow and develop. Vetoxan® also helps removes the Meconium (Black Plug) quickly allowing lambs to thrive from an early age. Feed 2ml to at risk lambs as soon after birth as possible. Repeat if necessary. 250ml = 125 x 2ml lamb feeds. 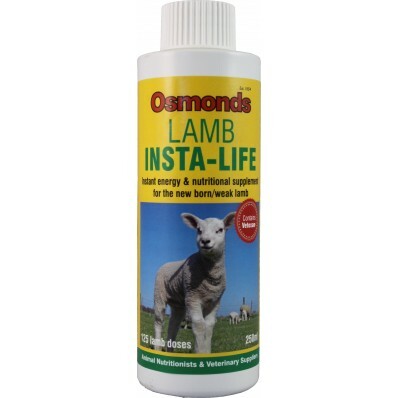 There are currently no questions for Osmonds Lamb Insta-Life - be the first to ask one!